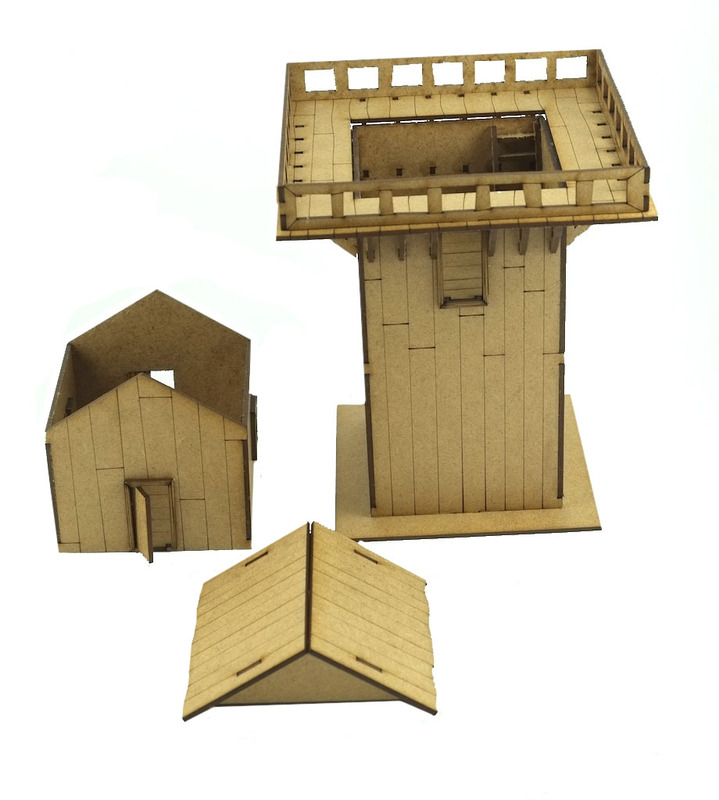 Timeline Miniatures laser cut MDF Roman Watchtower for use with various wargame and role play systems. Ideal for ancient or fantasy wargame and roleplay scenarios. This model is precision laser cut for accurate assembly. The top unit is removable and reveals the inner chamber with a ladder access to the upper unit. The upper unit itself has a detachable roof. There is a ladder for access to the tower. There is extra detail on the widows with the addition of frames and wood effect engraved doors. We also have a Roman Gatehouse and a Frontier Wall Section in this series - all available in 15mm too! This comes in a kit form and requires assembly and so you will need a knife or scalpel to release some parts. The tower measures 140mm x 140mm x 220mm high.